Every applicant or patentee is required to provide an ‘address for service’ in Australia. The Regulations currently require that this be ‘an address in Australia at which a document under the Act or these Regulations may be given to him or her personally or to the person specified in the form as his or her representative.’ The address for service must therefore be an actual physical premises at which documents may be personally served. Notably, the address for service held in the Patent Office records is not an address for legal service, e.g. of Court documents. It is used only for the service of documents associated with proceedings administered by IP Australia under the Patents Act 1990 and Regulations, such as notices of opposition, evidence in opposition proceedings, and the like. These documents are rarely, if ever, personally served. They are more often delivered by mail or courier or, by suitable prior agreement, by fax or email. 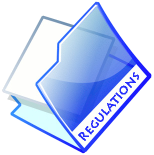 The regulations continue to allow a person to give an Australian address where a document can be given personally or to that person’s specified representative. Alternatively, a person can now specify any address in Australia where it is practicable and reasonable for Australia Post, or a person acting on behalf of Australia Post, to deliver mail. For example, this can be a post-office box or a locked bag. It can also be some postal delivery point to which a contractor of Australia Post routinely delivers mail. While this will enable Australian-based applicants and agents to use a post-office box as an address for service, it will also enable foreign applicants and agents to provide an address for service in Australia without having any physical presence in the country. Although some in the patent attorney profession have opposed this change in the past, perhaps based on concerns that it may result in the loss of some foreign client business, we doubt that it will make much difference in practice. For some applicants, the option of using a post-office box as address for service will be very convenient. Australian patent attorneys registered in New Zealand have for some time been able to establish a New Zealand post-office box as an address for service in that country. New Zealand patent attorneys registered (but not resident) in Australia will no doubt be pleased that they will now have the same option. Many requests that are commonly filed with IP Australia have an associated fee. In most cases, if the fee is not paid when filing the relevant documentation, an Invitation to Pay (ITP) is issued, setting a deadline for payment of the outstanding fee. In the case of a request to amend a complete specification, the period provided in the ITP has been one month. Under the amended regulations, this will be extended to two months. require that typewritten documents be 1 ½ spaced (the current Regulations allow either 1 ½ or double spacing).